The owners of Domaine Andre Mathieu have quite a long history in the Chateauneuf du Pape appellation. In fact, they date their family all the way back to some point in time close to 1600. 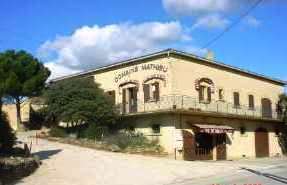 The birth of Domaine Mathieu took place in 1854 when it was founded by Anselme Mathieu. At the time the wines were sold under the name of Filibre. Domaine Andre Mathieu is located in Courthezon. The modern era for Domaine Mathieu starts in 1980 when the family began to modernize the estate and its wine making. Instead of having all their tanks in the middle of their home, they created a new winery. The estate was managed by the two brothers, Andre Mathieu and Jerome Mathieu. Following the departure of Jerome Mathieu, who went on to found Domaine de Saje, starting with the 2014 vintage, the estate changed its name to Domaine Andre Mathieu, as Andre Mathieu was now solely in charge of the domaine. Andre Mathieu is ably assisted by his daughter, Coralie Mathieu. Domaine Andre Mathieu owns 13 hectares of vines in Chateauneuf du Pape. 11.8 of those hectares are used to produce red Chateauneuf du Pape. The remaining 1.2 hectares are reserved for growing grapes used to make white Chateauneuf du Pape wine. While it is common for most producers in the Southern Rhone Valley to own vines that are scattered across the appellation, Domaine Mathieu is spread out more than most. Their 20.2 hectares of vines are divided into 60 different parcels. Of course as you can imagine, that diverse array of parcels is interesting to work with, because of the various types of terroir, soil, harvest dates, picking conditions and because they have planting of all 13 allowable grape varieties. Domaine Andre Mathieu produces 3 red Chateauneuf du Pape wines and 2 Chateauneuf du Pape Blanc wines. Domaine Andre Mathieu Chateauneuf du Pape – 85% old vine Grenache, 6% Mourvedre and the remainder of the blend is basically a field blend of all 13 allowable grapes planted in the appellation. The terroir is a mix of galets, sand and limestone. Some of the grapes are destemmed. The wine is aged in old foudres, demi muids and a small amount of used French oak barrels for between 12-14 months. 2,200 cases are produced. Domaine Andre Mathieu La Centenaire is produced from the oldest vines from the estate. The vines used for this cuvee, date back more than 100 years! While the blend is mostly old vine Grenache, all 13 different grape varieties are also included. Domaine Andre Mathieu La Centenaire is made from a blend of almost 90% old vine Grenache from vines that are over 120 years of age! The terroir is rocks and sand soils. The vineyards date back to plantings that took place in 1890 and 1892 in the La Font du Pape lieu-dit and Barbe d’Asne lieu-dit. The remaining 10% of the blend comes from a field blend of different grape varietals. The wine is aged in a combination of the estates oldest foudres and French oak barrels for 14 to 16 months before bottling. This special cuvee is only made in the best vintages. 500 cases are produced each vintage. Domaine Andre Mathieu Vin di Felibre is a hommage to the estates formative years. Felibre is the name the property first sold their wines under. The wine is made from a blend of 80% Mourvedre, 10% Grenache and all the other various, allowable other varieties. The vines are old, having been planted in planted in 1952 and in 1982. 93% of the wine is aged in a combination of tank and foudres, while 7% of the wine is aged in new, French oak barrels for 24 months. Only 300 cases are produced when the wine is made, which is only in select vintages. Domaine Mathieu Cuvee Marquis Anselme Rouge – Produced from the estates oldest vines, planted at the start of the 20th century, the wine is made from to 90% Grenache, with the remainder of the blend coming from all 13 of the other allowable, assorted, red wine grape varieties. This special cuvee is only made in the best vintages. This wine is no longer being made. It has been replaced by La Centenaire, starting with the 2014 vintage. For the 2007 vintage, Domaine Andre Mathieu produced 2 special wines, Gaussin d’Armandy and Clos Jarette from blends of 40% Grenache, 30% Syrah and 30% Mourvedre. Domaine Andre Mathieu Chateauneuf du Pape Blanc – From a blend of 45% Grenache Blanc, 45% Clairette, 5% Picpoul and 5% Bourboulenc. Less than 300 cases are produced each year. Domaine Andre Mathieu Vin Di Felibre Vin Di Felibre is one of the few wines made from 100% Clairette. Not much is made with a production that averages about 2 barrels of wine, or just under 50 cases of wine per vintage. This wine was previously produced and sold under the name of Domaine Mathieu Marquis Anselme Blanc. Domaine Andre Mathieu can be enjoyed on the young side. Young vintages can be popped and poured, or decanted for an hour so. This allows the wine to soften and open its perfume. Older vintages might need very little decanting, just enough to remove the sediment. Domaine Andre Mathieu is usually better with 2-5 years of bottle age. Of course that can vary slightly, depending on the vintage. In the best vintages the wine should be consumed within 8-12 years after the vintage. Domaine Andre Mathieu is best served at 15.5 degrees Celsius, 60 degrees Fahrenheit. The cool, almost cellar temperature gives the wine more freshness and lift. Domaine Andre Mathieu is best served with all types of classic meat dishes, veal, pork, beef, lamb, duck, game, roast chicken, roasted, braised, stewed dishes, sausage, eggplant, tomatoes and cassoulet. Domaine Andre Mathieu is also good with Asian dishes, hearty fish courses like tuna, mushrooms and pasta. The white wine of Andre Mathieu is best served with a myriad of different seafood dishes, shellfish, crab, lobster, sushi, sashimi, chicken, pork and veal, as well as Asian cuisine. Domaine Andre Mathieu also owns 4 hectares in the Cotes du Rhone appellation. Spicy fruits, silky tannins, elegant stylings and purity are the hallmarks of this wine. The sweet, red, peppery fruits and licorice are present from start to finish, which by the way is loaded with fennel and peppery, black raspberries and kirsch. The wine has been blended with 80% old vine Grenache, 10% Mourvedre, 5% Syrah and the remaining 5% comes from other AOC allowed grape varieties. Sweet red fruits pop from the get go. The wine is soft, fresh polished and fruity, with freshness and ripe, jammy black raspberries in the finish. While the blend here is mostly Grenache, you also find various percentage of all the allowable,13 different grape varietals. Peppery, sweet, ripe black raspberries, cherry and wild strawberry also make an appearance. The wine is medium bodied, and focused on its ripe fruit qualities and freshness. While this wine is almost exclusively old vine Grenache from vines that average 100 years of age, the wine has been blended with 10% Mourvedre and 5% Syrah. Medium bodied, with a red fruit note that is made more interesting with hints of citrus, the wine is bright, crisp, forward, and fresh that should be fine to drink early in life. While the blend here is mostly Grenache, you also find various percentage of all the allowable,13 different grape varietals. Made from a blend of 80% Mourvedre, 10% Grenache, 5% Syrah and 5% comes from various, allowed grape varieties, the wine is spicy fresh, sweet and concentrated. The fruits combine dark and red berry notes, which add complexity, Full bodied and fresh, the wine wants cellaring time before it really shows its all. Made from old vine Grenache that averages 100 years of age, blended with 12 other assorted grape varieties, the wine is elegant, polished, fresh, spicy and loaded with juicy, ripe, sweet, peppery kirsch on the nose and the palate. Medium bodied, forward, light, early drinking, spicy wine with ample freshness to give all the sweet kirsch in the finish lift and energy. Dominated by Grenache, the blend contains 13 different grape varietals. Spicy, peppery, red fruits, garrigue and soft textures produced a forward easy to like wine that is meant for early drinking. Crisp, peppery and fresh, the deep kirsch core is really singing. Supple and polished, the wine is rich, soft and velvety in texture. With 85% old vine Grenache, 8% Mourvedre and the remainder of the wine coming from a field blend of different grape varieties, the wine reached 15% alcohol. The earthy, animalistic nose pairs well with the round, spicy, dark fruits and jam offered in this wine. Produced from 80% Grenache and assorted other varietals, the wine reached 15% alcohol. Light red berry notes, elegantly styled, this will drink best young. This traditional styled wine focused on red berries, garrigue and freshness in the sweet and tart, red berry finish. Spicy berries, kirsch, garrigue and lush textures are the hallmarks of this open wine. The finish ends with fresh, sweet, red cherries.